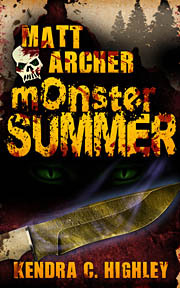 This e-novella is a companion short-story to Matt Archer: Monster Hunter. Fifteen-year-old Matt Archer finds himself in the Australian Outback on the trail of his latest targets...and hunting hyper-intelligent, mutated Dingoes is not his idea of a great summer vacation. Making things more complicated, Matt's Uncle Mike—aka Major Tannen—is his C.O. To Matt’s consternation, the major's new fiancée , Captain Julie Hunter, is along for the trip. When Captain Hunter disappears during a routine scouting trip, it's up to Matt to help his uncle find her before it's too late.